Since the time of Aristotle, there had been a clear divide between the three kingdoms of animal, vegetable, and mineral. But by the eighteenth century, biological experiments, and the wide range of new creatures coming to Europe from across the world, challenged these neat divisions. Abraham Trembley found that freshwater polyps grew into complete individuals when cut. This shocking discovery raised deep questions: was it a plant or an animal? And this was not the only conundrum. What of coral? Was it a rock or a living form? Did plants have sexes, like animals? The boundaries appeared to blur. And what did all this say about the nature of life itself? Were animals and plants soul-less, mechanical forms, as Descartes suggested? The debates raging across science played into some of the biggest and most controversial issues of Enlightenment Europe. 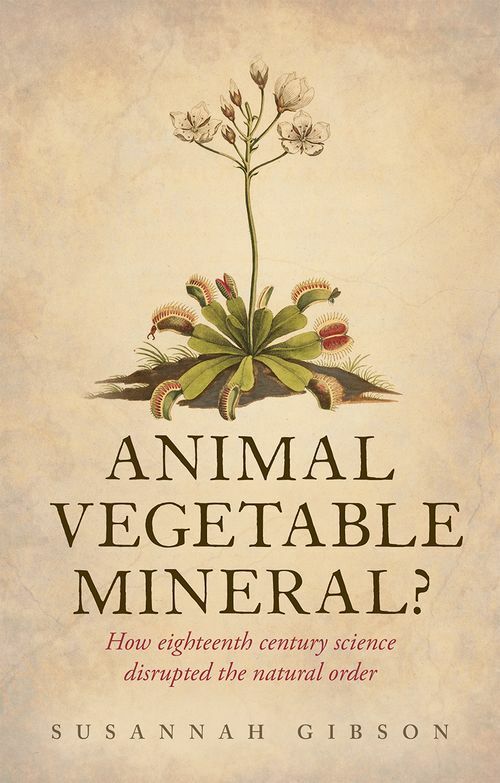 In this book, Susannah Gibson explains how a study of pond slime could cause people to question the existence of the soul; observation of eggs could make a man doubt that God had created the world; how the discovery of the Venus fly-trap was linked to the French Revolution; and how interpretations of fossils could change our understanding of the Earth's history. Using rigorous historical research, and a lively and readable style, this book vividly captures the big concerns of eighteenth-century science. And the debates concerning the divisions of life did not end there; they continue to have resonances in modern biology. Susannah Gibson is an affiliated scholar at the Department of History and Philosophy of Science, University of Cambridge. She holds a PhD from the University of Cambridge on the history of the life sciences in the eighteenth century.